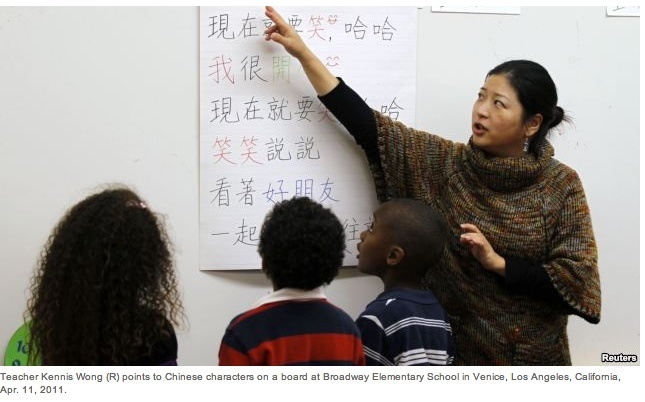 Great Initiatives — USA China Friendship Inc.
BEIJING — Last year the number of Chinese studying abroad in the U.S. rose 23 percent, to surpass 200,000. Far fewer American students study in China, which is something the U.S. State Department is trying to change. Christie Civetta is one of thousands of American students abroad in Beijing this year through the "100,000 Strong Initiative," a program that aims to increase the number of Americans studying in China. She said, “I think it opens your eyes to what actually is here, to truly what is going on in China, what truly is happening. I think that’s incredibly important to know if you want to be educated to chat about it at all. Sponsored by the US State Depratment and the Chinese Government. The Chinese government strongly supports the initiative and has already committed 10,000 “Bridge Scholarships” for American students to study in China. This initiative seeks to prepare the next generation of American experts on China who will be charged with managing the growing political, economic and cultural ties between the United States and China. The initiative also seeks to develop specific opportunities and funding sources for underrepresented students to study in China.